A 1964 merger of Indiana University and Purdue University's satellite campuses in Fort Wayne created IUPUI- Fort Wayne. 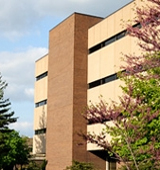 The school offers a large number of liberal arts and professional courses to a diverse and largely non-traditional commuting student body of 14,000. Both daycare and a water-skiing club are available. Describe the type of student who should not attend Indiana University-Purdue University-Fort Wayne and explain why. Describe the type of student who should attend Indiana University-Purdue University-Fort Wayne. Why? What is a typical Indiana University-Purdue University-Fort Wayne student like? Describe the type of person that should attend Indiana University-Purdue University-Fort Wayne. A typical student at IPFW is one that enjoys small class sizes, likes to be involved in activities, and enjoys being on a campus that is relatively small. What are the top 3 reasons someone should attend Indiana University-Purdue University-Fort Wayne? What was a typical Indiana University-Purdue University-Fort Wayne student like in high school? Describe the type of person that should attend Indiana University-Purdue University-Fort Wayne. Education in action. That's your degree at Indiana University-Purdue University Fort Wayne (IPFW). Learning starts in the classroom, but continues with the kind of hands-on experience that employers want. Grasp the theory behind why things work, then discover the reality of how they work through projects, research opportunities, internships, and field experience. Small classes taught by top professors put you on a first-name basis with experts in your field, and builds contacts that last throughout your career. Prepare for your life. Your degree is waiting for you here at IPFW. What are the top 3 things that students do for fun at Indiana University-Purdue University-Fort Wayne? Campus housing is available for undergraduates. Housing deposit : $150.00. Housing deposit is refundable in full if student does not enroll.. Freshman allowed to have car. No pets. 23% of freshman live on-campus. The average student pays $12,335 for tuition, fees, and other expenses, after grants and scholarships. Total stated tuition is $6,121, in-state and on-campus, before financial aid. 59% of students receive some form of financial aid. Learn more about financial aid at http://www.ipfw.edu/financial. Estimate the net price for you at http://new.ipfw.edu/financial/aid-estimator. The typical (median) early career salary of Indiana University-Purdue University-Fort Wayne graduates is $39,000, according to Payscale. Indiana University-Purdue University-Fort Wayne participates in the NCAA Division I-AAA for college athletics. Want more info about Indiana University-Purdue University-Fort Wayne? Get free advice from education experts and Noodle community members. What do you like about Indiana's campus and culture? I like my school because it offers great diversity and opportunities. Indiana is one of the biggest schools in nation so you can't never be bored also.